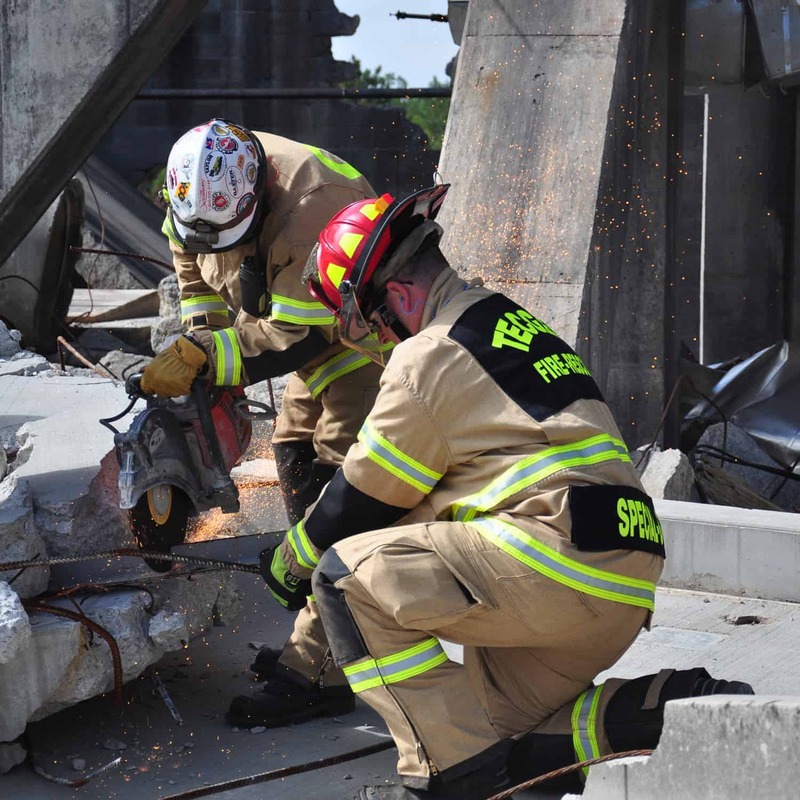 This standard was initially formed for USAR (Urban Search & Rescue) gear, and was based on the 1993 U.S. Fire Administration Study “Protective Clothing and Equipment Needs of Emergency Responders for Urban Search and Rescue Missions” published by FEMA. In the 2nd Edition, this standard was renamed and broken down in to 3 different types of "Technical Rescue" gear. 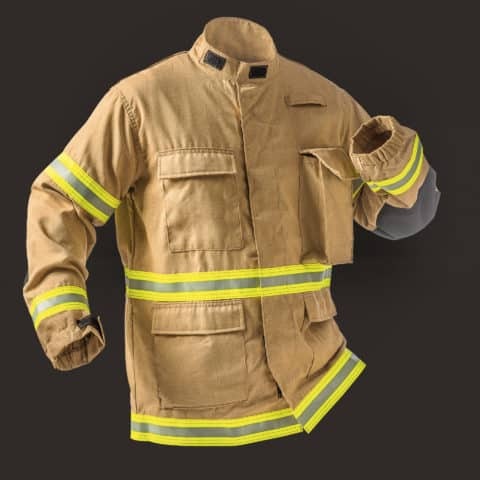 The 1st level being a "utility ensemble" that's incredibly breathable as to avoid heat stress and exhaustion, yet still provides an outer layer of protection and flame resistance. The 2nd level is a "rescue and recovery ensemble", providing the same protection as the first but including a blood-borne-pathogen barrier. Fire-Dex manufactures gear certified to the 1st and 2nd level. The third level in the standard is a CBRN ensemble. Fasterner Tape Breaking Strength Fastener tape (hook & loop closure) Shall have a minimum breaking strength of 230 lbs in accordance with Table I of A-A-55126B for Class 2, 2 inch hook and loop. Shall have a minimum breaking strength of 230 lbs in accordance with Table I of A-A-55126B for Class 2, 2 inch hook and loop. Fasterner Tape Shear Strength Fastener tape (hook & loop closure) Shall have a minimum shear strength of 10, in accordance with Table I of A-A-55126B for Class 2, 2 inch hook and loop. Shall have a minimum shear strength of 10, in accordance with Table I of A-A-55126B for Class 2, 2 inch hook and loop. Fasterner Tape Peel Strength Fastener tape (hook & loop closure) Shall have a minimum peel strength of .5, in accordance with Table I of A-A-55126B for Class 2, 2 inch hook and loop. Shall have a minimum peel strength of .5, in accordance with Table I of A-A-55126B for Class 2, 2 inch hook and loop. (Level 1, Utility Ensemble) TECGEN® PPE is a lightweight alternative to structural turnouts, reducing the risk of heat stress and fatigues on up to 90% of your calls. Dual certified to NFPA 1977. 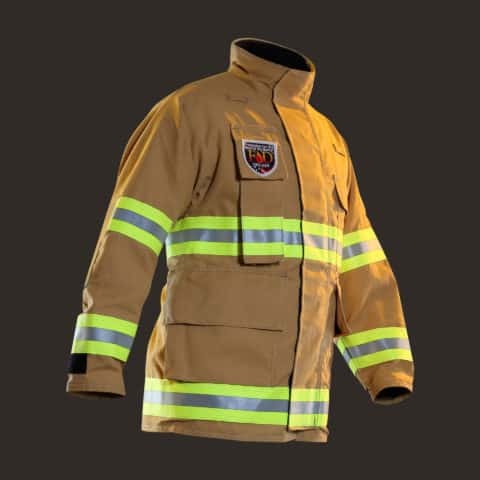 (Level 2, Rescue & Recovery) Fire-Dex USAR Gear is perfect for search & rescue calls, with a sewn-in Crosstech® S/R Fabric liner to block liquid and chemical hazards, and is flame resistant and abrasion resistant. Dual certified to NFPA 1999.